This is an excerpt from my “2018 Roth Rating Report”. You can download your copy here. In any race he starts (even all the way up to Kona), James has to be considered among the favorites for the win, and if he’s on form, he’s likely the biggest competitor for Sebi in this year’s Roth race. He’s always been a good swimmer and should start the bike about two minutes ahead of Sebi. There are very few athletes that can match James on the bike – when he won IM Hamburg in 2017 no one was able to stick with him when he gently increased his pace at the start of the second bike loop. 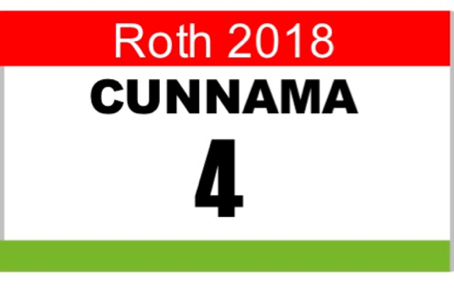 With Sebi, Cam Wurf and possibly Andreas Dreitz there are a few in the Roth field that might test his bike strength, but Roth is a good race to take some more risks. I also expect James to post one of the fastest run splits of the day, his 2:40 from Hamburg was the second fastest of 2017 (only Patrick Lange was quicker in his Kona win) and he was almost able to run down Sebi at the end of the marathon in Kona. However, James’ 2018 form is a bit of an unknown. At the end of 2017 he had a crash that resulted in fractured ribs; it has taken him some time to bounce back and he wasn’t able to race his home race, IM South Africa. In early May he won a South African half-distance triathlon, but so far hasn’t done any European races. He also still needs to validate his Kona slot by finishing an Ironman, but we’ve seen last year that he’s not worried about racing in August. In short, if he’s on the start line, expect him to do well and finish at least on the podium.